Buddhism is a religion indigenous to the Indian subcontinent that encompasses a variety of traditions, beliefs and practices largely based on teachings attributed to Siddhartha Gautama, who is commonly known as the Buddha (the awakened one). The Buddha lived and taught in the eastern part of the Indian subcontinent sometime between the 6th and 4th centuries BCE. He is recognized by Buddhists as an awakened or enlightened teacher who shared his insights to help sentient beings end their suffering (dukkha) through the elimination of ignorance (avidyā) by way of understanding and the seeing of dependent origination (pratītyasamutpāda) and the elimination of desire (taṇhā), and thus the attainment of the cessation of all suffering, known as the sublime state of Nirvāṇa! Two major branches of Buddhism are recognized: Theravada and Mahayana. 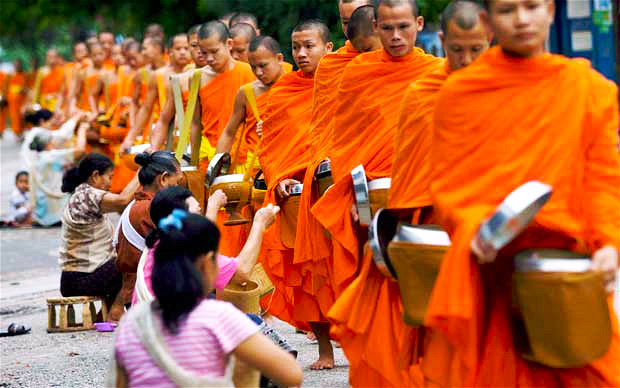 Theravada has a widespread following in Sri Lanka and Southeast Asia (Cambodia, Laos, Thailand, Myanmar). 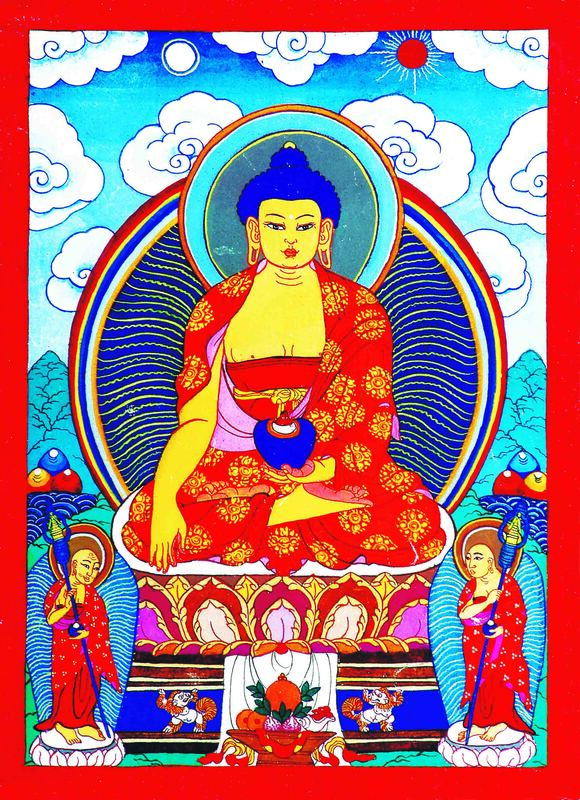 Mahayana is found throughout East Asia (China, Korea, Japan, Vietnam, Singapore, Taiwan) and includes the traditions of Pure Land, Zen, Nichiren Buddhism, Tibetan Buddhism, Shingon and Tiantai. In some classifications, Vajrayana, practiced mainly in Tibet and Mongolia (also China and Russia) is recognized as a third branch, while others classify it as a part of Mahayana. 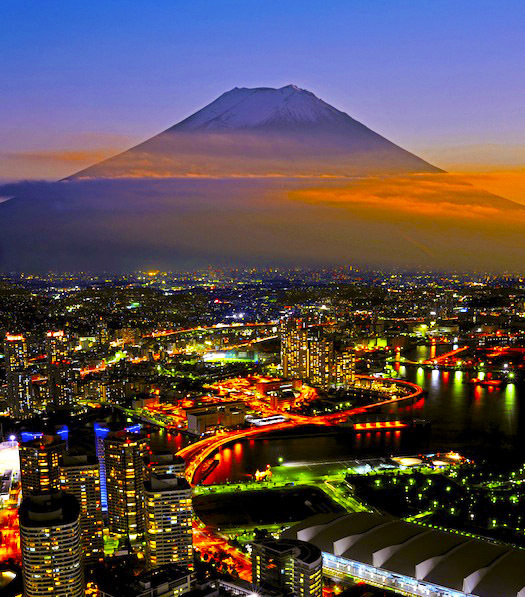 About 85 million people in Japan, accounting for 2/3 of the population, are affiliated with Buddhism in some way, often nominally 70-85% of Japanese profess no religious membership or personal religion. Most Japanese Buddhists are also similarly affiliated with Shinto, as neither of the two religions demand exclusivity. 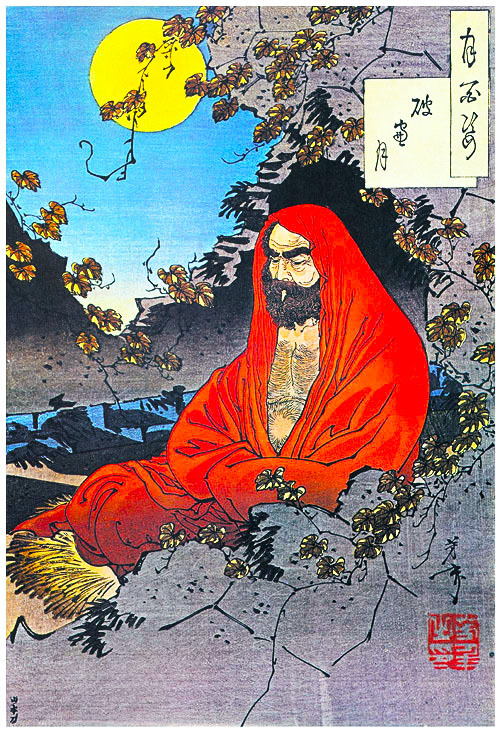 Zen Buddhism was brought to China by the Indian monk Bodhidharma in the 6th century CE. It was called Ch’an in China. Zen’s golden age began with the Sixth Patriarch, Hui-neng (638-713), and ended with the persecution of Buddhism in China in the middle of the 9th century CE. The great Zen masters came from this period. Zen spread to Korea in the 7th century CE and to Japan in the 12th century CE. The essence of Zen is attempting to understand the meaning of life directly, without being misled by logical thought or language. Its techniques are compatible with other faiths and are often used, for example, by Christians seeking a mystical understanding of their faith. Zen often seems paradoxical, it requires an intense discipline which, when practised properly, results in total spontaneity and ultimate freedom. This natural spontaneity should not be confused with impulsiveness. Buddhism’s emphasis on the Middle way not only provides a unique guideline for ethics but has also allowed Buddhism to peacefully coexist with differing beliefs, customs and institutions in countries where it has resided throughout its history. Popularised in the West by the Japanese scholar Daisetz Teitaro Suzuki (1870 – 1966), Zen culture is the Japanese variant of Chán, a school of Mahayana which strongly emphasizes dhyana (concentration/meditation). This gives insight into ones true nature, which opens the way to a liberated way of living. 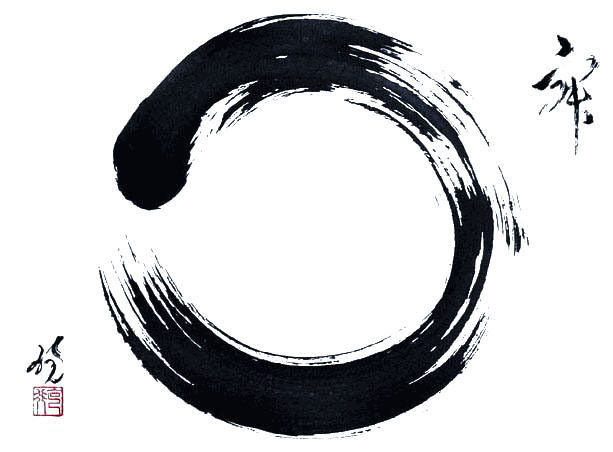 In Zen Buddhism, an ensō (円,相) is a circle that is hand-drawn in one or two uninhibited brushstrokes to express a moment when the mind is free to let the body create. The ensō symbolizes absolute enlightenment, strength, elegance, the universe, and mu (the void). It is characterised by a minimalism born of Japanese aesthetics. The many different schools, such as the zen buddhist concepts, practices and traditions will be left to an expert. This is just a small introduction to the subject, our today’s album has an exploitative side, but it’s the basis for one of the rare fusions between rock and religion, especially in the East! People were formed during a short term in 1971 as an (nearly) occasional shooting star project to produce a novel by blending their rock sounds and Buddhist Shomyo (sutra). 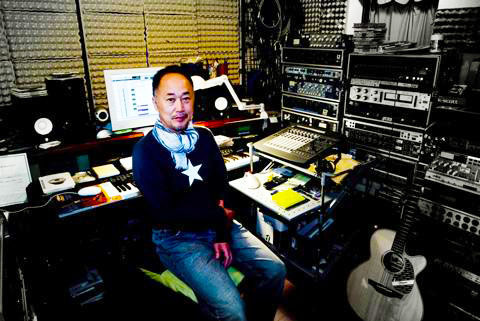 The album was led by Buddhist poet/songwriter Naoki Tachikawa and was organised by Teichiku Records‘ A&R director Hideki Sakamoto. All the members were renowned and talented Japanese session musicians: Kimio Mizutani (Masahiko Satoh & Soundbrakers, Love Live Life), Yusuke Hogushi (Sound Ltd.), Hideaki Takebe (Yosui Inoue), Kiyoshi Tanaka (Zuno Keisato), and Rally Sunaga (Hiroshi Yasukawa). They released a solemn and mysterious rock Lp, an album with vision which slowly unfolds in a zen way. Through most of the album is a mood of improvisation build around some fundaments of Buddhist prayers with a psych-rock band playing a mostly droning. 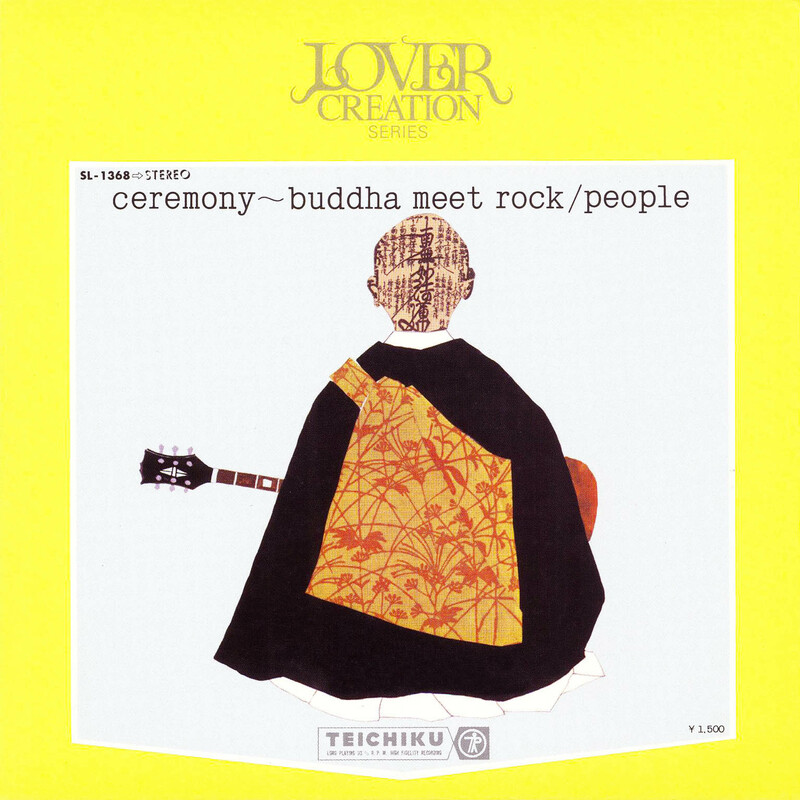 With clearly organ, slowly rhythmic bass, wooden block, wah-wah guitar, drums and acoustic guitar, temple cymbals, and an occasional sitar, played in Japanese mode. Curiously, the album starts and ends with a sample from David Axelrod’s Holy Thursday, being one of the first unauthorized uses of a song in rock history. The ‘IM’ highlights are for the entire album, this rite soundtrack captures the beauty of an ancient religion with tinges of modernity, fake orgasms and lots of fuzz. 良い旅を!